Undoubtedly, besides being recognised as a great Wali, as the Ghousul Azam and as the Imam Abu Hanifa (radi Allahu anhum) of his time, A’la Hadrat (radi Allahu anhu) was also the Mujaddid (Reviver) of Islam of the 14th Century. He possessed all the conditions of a Mujaddid and his entire life was spent trying to revive the Deen of the Holy Prophet Muhammad (sallal laahu alaihi wasallam). A cloud of darkness had covered most of the world and the false concepts of Polytheism (Shirk) and Innovations (Bid’at) were coming into existence. The Muslims were in a state of confusion. They were surrounded by the cloud of Kufr (Disbelief), Shirk and Bid’at. It is through the Divine Grace of Almighty Allah and the Sadaqah of the Holy Prophet (sallal laahu alaihi wasallam) that the Reviver of the 14th Century, Imam-e-Ahle Sunnat, Imam Ahmed Raza Khan (radi Allahu anhu) shone like the sun. With his bright proofs, he destroyed the darkness of Kufr and revived Islam. Professor Manzoorud’deen Ahmad, Vice Chancellor, University of Karachi said: “The reality is that on reading several books of Imam Ahmed Raza, I have come to the conclusion that through his writings and speeches, the Fatawa (Inquisitions) and hundreds of small and bulky treatises, he had struggled for the revival of Islam, and as a reward he was declared as a Mujaddid of this Century by the Ulema (Scholars of Islam), in particular, the scholars of Makkah and Madina (Haramain Sharifain). . . In other words, when there comes a period in which there is a shortage of knowledge and a deterioration in following of the Sunnah; when there is an increase in false innovations and ignorance; then Almighty Allah will send a person at the beginning or end of every century who will show the difference between Sunnah and Bid’at. He will refute and destroy false innovations and will fear none but Almighty Allah. He will very bravely and sincerely hoist the flag of Deen-e-Muhammadi (sallal laahu alaihi wasallam). Such a person is known as a “Mujaddid” (Reviver) of Deen. Sayyiduna A’la Hadrat (radi Allahu anhu) spent much of his time also refuting those who insulted the dignity of the Holy Prophet (sallal laahu alaihi wasallam). He left no stone unturned in safe-guarding the dignity and integrity of Holy Prophet (sallal laahu alaihi wasallam), in spite of being personally attacked by the misguided. These personal attacks did not bother him in the least bit! The adversaries of A’la Hadrat (radi Allahu anhu) levelled many accusations and tried desperately in defending their Kufr statements. After much proofs, when it became absolutely clear to A’la Hadrat (radi Allahu anhu) that certain misguided individuals were not prepared in withdrawing their Kufr statements and making Tauba, and in order to protect Islam, he passed Kufr Fatawas against those persons. We should remember that he passed the “Fatawa-e-Takfeer” (Kufr Fatawa) against those persons who insulted the status and dignity of Almighty Allah and His Rasool (sallal laahu alaihi wasallam). He passed the Fatawa-e-Takfeer on persons such as Ashraf Ali Thanwi, Rasheed Ahmed Gangohi and Khalil Ahmad Ambetwi and others because, through their writings, it was evident that they had insulted the Holy Prophet (sallal laahu alaihi wasallam). From the above statements, we clearly see how careful A’la Hadrat (radi Allahu anhu) was, in terming a person a Kaafir. He was merely fulfilling his duty as a conscientious and responsible Muslim. The fault was indeed of those individuals, who even after being warned, remained steadfast in their own beliefs and words of Kufr. “All Praise is due to Allah, the Master of the Worlds, Who has made the Ulema-e-Shariat-e-Muhammadi (sallal laahu alaihi wasallam) the freshness of this world. By manifesting truth and guidance, and filling cities and heights, and by siding the religion of Sayyidul Mursaleen (sallal laahu alaihi wasallam) they saved the society of Huzoor (sallal laahu alaihi wasallam) from violation and (with their bright proofs) they destroyed the heresy of those who were misled. “After sending praise and salutations, I have seen that which that learned person and professional teacher has purely written. It is a struggle on behalf of the religion of Muhammad (sallal laahu alaihi wasallam). In other words, my brother and my respected Hadrat Ahmed Raza Khan (radi Allahu anhu), who in his book, “Al Mu’tamadul Mustanad” has refuted the evil leaders of the false sects and false beliefs. Such people are worse than all evil, wicked and seditious people. Our author, in his book, has summarised and stated the names of those wrongdoers, who due to their wrong doings, are soon to become the worst and the lowest amongst the infidels. O! Readers, it is essential for you to hold on to this Kitaab which it’s author has written with great swiftness. You will find in this book bright and evident proof in refutal of these groups. Especially those individuals who intend to undo the objective which is already bound. Who are these individuals who are known as Wahabis? From amongst them is “Ghulam Ahmad Qadiani” who has claimed Prophethood, and the other ones who have come out of Deen and insulted the dignity of the Holy Prophet (sallal laahu alaihi wasallam) are Qasim Nanotwi, Rasheed Ahmad Gangohi, Khalil Ahmad Ambetwi and Ashraf Ali Thanwi and all those who follow their ways. “Almighty Allah grant Imam Ahmed Raza Khan great reward for he has given cure and has answered his decree which is in his book, “Al Mu’tamadul Mustanad”, in which are also the decrees of the Ulema of Makkah and Madina. Due to the corruption and trouble, it has become necessary for them as they (the misguided) are spreading corruption on this earth. They and all those on their path. “All Praise is due to Almighty Allah Who has shown the path to those whom He has guided and with His Justice, misguided him who he has left, and granted the Believers an easy path to gain advice. He has opened their hearts to bring faith in Almighty Allah and bear witness with their tongues and keep sincerity with their hearts and follow that which Allah and His Books have shown. “Peace and Salutations upon him whom Allah has sent as a mercy unto the worlds, and upon him sent down His Clear Kitaab in which is the bright explanation of everything and to terminate the wrongness of the disbelievers. This Nabi (sallal laahu alaihi wasallam), whose proof and arguments are clear, has made it obvious from his practices. Salutations upon his family for they are guides, and upon his Companions who have made the Deen firm and beneficent, and upon their followers until Qiyamah, especially, the four A’ima-e-Mujtahideen and those Muslims who are their followers. A’la Hadrat (radi Allahu anhu) was supposed to depart from Pillibit Shareef that night, but since he had been invited at another person’s home, he stayed one more night in Pillibit Shareef. Sayyiduna A’la Hadrat (radi Allahu anhu) spent the entire night studying the Kitaab, which consisted of numerous volumes. A’la Hadrat (radi Allahu anhu) was intially not a Hafiz-ul-Quran. Once, someone wrote a letter to Sayyiduna A’la Hadrat (radi Allahu anhu) and addressed him as “Hafiz”. When A’la Hadrat (radi Allahu anhu) saw this, he became depressed for he felt that he was not worthy of such a title. He immediately decided to become a Hafiz of the Holy Quran. How did he become a Hafiz-ul-Quran? It has been stated that in the time period from Wudhu till the time of Jamaat, Hadrat Allamah Sadrush Shariat (radi Allahu anhu) would recite one Sipara. Sayyiduna A’la Hadrat (radi Allahu anhu) would listen to it and, thereafter, recite the same Sipara in the Taraweeh Salaah. HE CONTINUED THIS ROUTINE FOR 30 DAYS, AND BY THE END OF THE MONTH OF RAMADAAN, A’LA HADRAT (RADI ALLAHU ANHU) BECAME A COMPLETE HAFIZ OF THE HOLY QURAN! What a Mujaddid he was. We really was needed an Ala Hazrat who could tell the truth at Harmain Sharefain, everybody admire him being an Ala Hazrat. kitabon mein tahreef kar k Saudia se fatway lye Ala Hazrat ne, Allah un se razi ho jaye bas! The eminent Scholar and Wali, A’la Hadrat Iman Ahmad Raza Khan (radi Allahu anhu) was born into a Sunni family. His father and grandfather were great Sunni Shaykhs of their time, and belonged to the Qadri Tariqa. Alhamdillah Summ Maa Alhamdulillah………Great work on Shaah Fazeel At Ush Shaikh, Imaam E ALhe Sunnat, Kanzul Karamat, Shama E Shabistaane Asfiyaa, Rawnaq E bazm E Awliyaa Hassan Ul HInd Imaam Ahmed Raza Khan Fazil E Barelvi RadiALLAHutaalaanhu. May ALLAH reward you immensely for the noble work. Alhamdu’lillah, many works of AlaHazrat (Radi Allahu Ta’ala Anh) are being translated into English by the Raza Academy. We should all try to purchase these books to enhance our knowledge of Islam. Jazakh Allahu Khayr for your dua. May Allah Ta’ala reward you, and more. Ameen. Asslamo allaikium. I love Alla hazrat . Masha’Allah, well said Sufi sahib. Allah gives us the sadaqah of Ala Hadarat. Allah gives us the pure knowledge and understanding of Islam. as per my knowledge Radi Allahu Ta’ala Anh can be use only with the sahabe karam only . Please clearyfy. Scholars say that Radi Allahu Anhu is also permissible for the Awliya’ Allah but usually it is used for the Akabirin Taba’een(Hassan Basri, Rabi’a Basri, etc. ), Aa’immah Araba’ah and Akabirin Awliya’ Allah including the four Honourable Sufi Spiritual Masters of the Four Tareeqahs, Data Sahab, Sayyiduna Bayazid Bustaami, Junaid Al-Baghdaadi, Ibrahim Bin Adham, Imam Ghazzali, Maulana Jalaluddin Rumi, Shaykh Sa’adi Shiraazi, Maulana Jami, Bishr-e-Haafi, etc and other prominent personalities such as theirs in the Blessed Ummah of The Holy Prophet (sall’Allahu Ta’ala alayhi wa’alihi wa’sallam). i am know about the chellah with taftish. Aala Hazrat is Great ………. 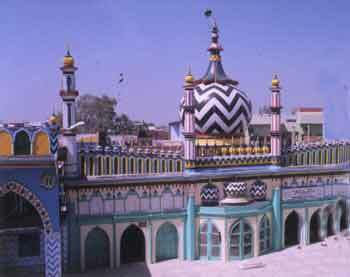 I love Aala Hazrat ……. Aala Hazrat is Great ….. I love Aala Hazrat …..
Great Great Great Great Great …….. Aala Hazrat……. Assalamo alaikum,,I would like to dedicate Ala Hazrat (R.A) by this stanza in urdu,khulde bareen ki zameen ho register,bagh iram mein bane apna ek ghar,Rab ki ata se Nabi ki dua se ,to kitabat Raza se karana parega,Milegi hamein bhi baqa ki manzil to Doroodon ki dali salamo ke gajre Nabiji ki mehfil mein sazanaprega. I have read dozens of Risala-e Alahazrat in comparision with Infidles (Munafeqeens) books like Taqweatul Iman,Baraheeen qateya,hifzul iman,afazatul youmia siratemustaqeem arwahesalasa fatewae rashidia,tazkiratul rashid etc,I am recommended one Book of AlaHazrat i.e. Amanul ula will be sufficient and one can get rid from Heavenly fatal disease of disrespect of Holy Prophate hereafter please. Aala hazrat is the one by whome i got real iman. I love seyyadi Imam Ahmad Raza Khan (Alaihe Rehmat). He is worthy of every bit of love of each one in this world. I would like to quote his poetic verse with a bit of addition (If this great Soul of Aala Hazrat Alaihe Rehmat allows me to). Sagaan – e – Kocha – e – Raza kay qadam bhi chomay ooh ubaid! tum aur aah! itna damag lay kar chalay……………………………. Mein Raza ka kutta hoon yeh dawa hai mera ubaid!!!!!! Aala Hazrat’s(AlayhirRahmatuRidwaan) shaykh(Peer sahab) Hazrat Shah Ale Rasool Mahrervi says:If Allah asks me on the Roz e Mehshar that what you have brought today,then I would reply that I have brought Ahmed Raza(AlayhirRahmatuRidwaan). Imam ahmed raza, was only mujadid at his period who had spred love for Sarkar (PBUOH). All his book writen on Sunnat was extraordinay. Imam e Ishq o Mohabbat ALA HAZRAT Fadele Berlovi Rahmatullahi Alaihi is the source of my love to our prophet SALLALLHU ALAIHI WASALLAM. Aalahazrat Imam Ahmad raza khan (Ra) is the mujadad of the 19th century and was is and will be remmembered untill the day of judgement inshallah azzawajal.faiz e raza jari rahein ga.tu ne batil ko mitaaya ai imam ahmad raza.deen ka danka bajaya ai imam ahmad raza.hamara taaj hai ahmad raza hamara imam hai ahmad raza.